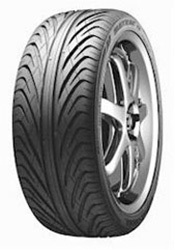 Matrac TX KU17 tyres are very popular and reliable tyres used by cars and drivers looking for maximum performance. Their wet and dry weather traction, braking power and stability are excellent, with great responsiveness that lets you really enjoy your driving. Having the confidence to really get the most out of your journey makes it more relaxing and the price of Marshal tyres are exceptional for the quality you receive. The Matrac TX KU17 tyres are definitely a great choice.